Christmas, Christmas cookies, Krumkaker, Traditional norwegian cookies. Christmas cookie. 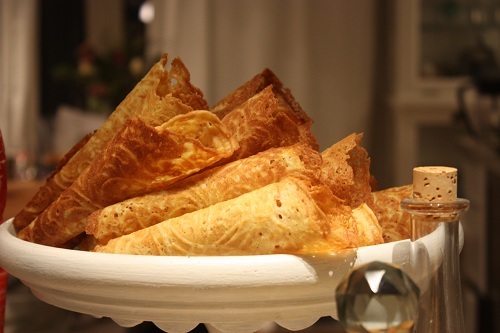 Auntie B’s Krumkaker are brittle yummy cone shaped pastry/cookie. As long as I have known her she has been making krumkaker every Christmas for us. This is very sweet of her and we are very grateful, but there is a little problem. They seem to disappear long before Christmas. I had to ask her for the recipe so I could make them myself. 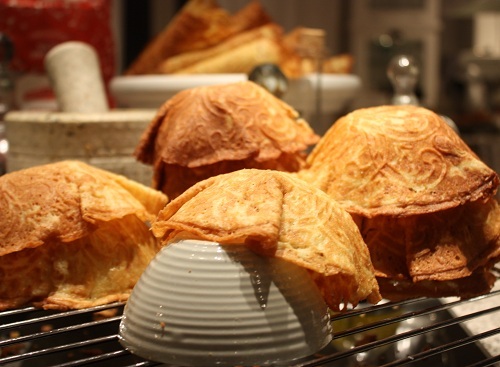 Krumkaker means curved cakes, but they are coneshaped. These cookies are one of the 7 traditional kakes that the Norwegians make for Christmas and other special occasions. Sometimes the cookies are shaped as little bowls and filled with rice cream and berries, specially cloudberries. Melt the butter and let it cool to room temperature. Beat the eggs and sugar fluffy, add the cooled butter little by little while beating the eggs. Sift flour and cardamom into the batter and as soon as the flour is well incorporated stop beating the batter, you do not want to activate te gluten in the flour. Place a spoonful of the batter in the iron and bake for about 10-15 seconds. While the cookies are soft and warm roll them around a wooden cone shaper or place them over a small bowl to shape into small dessert bowls. One of the most important equipment making these cookies are gloves, to protect your fingers from getting burnt when shaping the cookies. 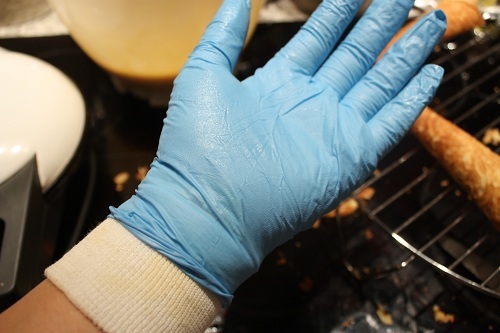 It is easier and faster to work with the gloves on and as you can se I double glove, I use a pair of thin cotton ones underneath the latex ones.